How does an IoT Smart City look like? At Intertraffic Amsterdam 2018, we are sharing our vision at “The IoT-Enabled City” roundtable led by Thinking Cities magazine (H3B Media) and MaaS Global. Julia Arneri Borghese, Director of Sales Operations and Engineering Marketing at Paradox Engineering, will discuss how IoT technology enables more livable, sustainable and inclusive urban communities, supporting City managers to design long-term urban development strategies. She will also introduce the experience of some Cities around the world which successfully took the Smart road. Join us at RAI Convention Center – Room F002 + F003 – today at 2.30 pm. Free entrance on a first come, first seated basis. 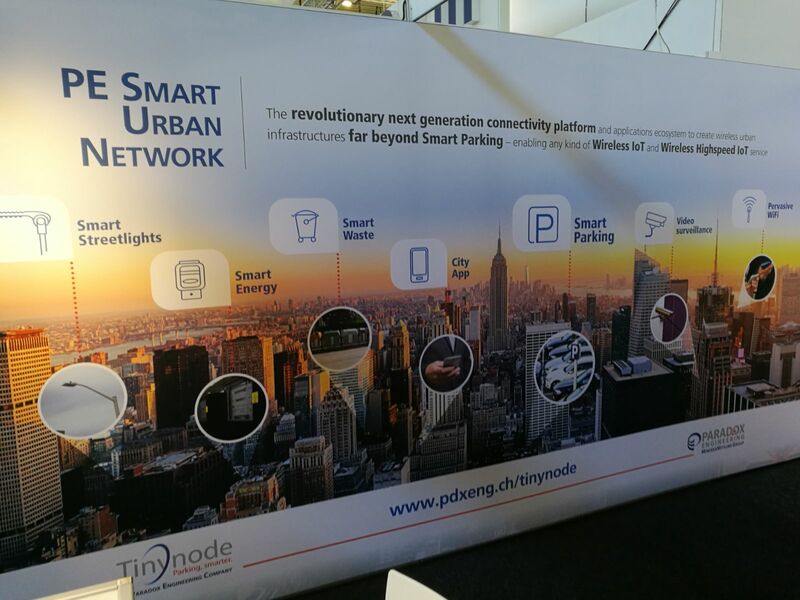 And, for any query about Tinynode wireless vehicle detection systems for Smart Parking, please be welcomed at Hall 2, booth 02.211.